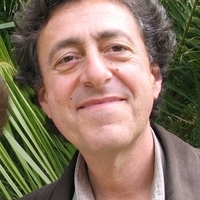 Professor Papadopoulos has excavated widely in Australia, both on Aboriginal and historic sites, and in Greece, Italy and, most recently, Albania. He has been a member of the excavation team at Torone in northern Greece since 1979 and field director of the excavations, as well as the geophysical and underwater surveys, from 1986 to 1995. He is codirecting the UCLA-Institute of Archaeology at Tirana excavations at the pre- and protohistoric burial tumulus of Lofkënd in Albania. Among various other projects, he is currently working on a two-volume publication of the Early Iron Age material from the Athenian Agora. His teaching and research interests include the topography of Athens, Greek colonization, the Aegean Bronze Age, and the effective integration of literary evidence with the material record in the study of the past. He has a forthcoming monograph on The Art of Antiquity: Piet de Jong and the Athenian Agora.